"the way that a lot of people look at what we're about and not entirely without justification is 'here come the communists—turn out the lights, the party is over'"
Why is it that a lot of people are looking at and saying, "here come the communists, turn out the lights, the party is over"? Or another way to put it might be why don't people see our arrival as the "the life of the party." By the "life of the party" I mean being seen as a really vibrant new social force in society which captures people's imagination, in various dimensions, as an alternative revolutionary moral and intellectual energy in the world. A party, the individuals in it, and its method and style of work which stands out and is perceived by others in the society not only for its great passionate intensity for revolution and communism, but also for its "novel" insistence that communism is a science and for its dynamic, creative scientific method and approach to communism and the road to get there. In terms of how communists are viewed this is a complex mix of factors. On one level, separated from the line, method and approach of communists there are some real difficult objective contradictions which we face. The basic analysis in the "House and the Experience of Socialist Society So Far" section in Making Revolution and Emancipating Humanity, Part 1, speaks in basic terms to contradictions we face in how socialism and communism is understood and as part of this how people look at communists. Further, the essence, in a universal and general sense, of bourgeois intellectual (speaking generally of intellectual trends in the bourgeois epoch) opposition to communism is captured in the Karl Popper polemic (also in MREH, Part 1) to a large extent; though the basic Popper critique and approach is further particularized in relation to critiques of the Soviet Union and Mao's China and some of this is also wrapped in various other forms of relativism (post-modernism, etc.) of the last 40 years or so. Also, there is the whole reactionary imperialist bourgeois and petty-bourgeois chorale projecting the whole communist project and especially communist leadership in an "Orwellian portrayal of a power‑hungry, faceless bureaucracy terrorizing the masses in whose name it is supposed to be ruling" (Badiou polemic). And this reactionary and false "narrative" in some manner informs the thinking of virtually all, from whatever viewpoint, who engage communism. Without being linear or mechanical about this, the end of the first stage of communism, then the end of the cold war and the development of a U.S. dominated imperialist globalization and the dynamic of the two outmodeds which has developed, has in various ways, both materially and ideologically, "poisoned" (in the sense of confusing and demoralizing) the orientation and thinking of various sections of humanity. Large swaths from various strata have become almost caricatures of social relations of commodification, both in the sense of what is important in their lives and how people relate to each other socially; there has been a wholesale seduction and demobilization by relativism; and related to both of these phenomena (comodification/relativism) the most malignant forms of individualism and solipsism. And in basic ways, even while people are reconciling with some of the worst crimes of imperialism, very related to this, people are rejecting revolution and the chaos and upheaval this would mean in the world and to their lives. In a very concentrated way a lot of this is spoken to in the section "It Is What It Is—And It Can Be Transformed" in Unresolved Contradictions, Driving Forces for Revolution. As spoken to in the "House.." section,it is true that there were very real problems and mistakes coming out of the first stage of communist revolution. Problems which stemmed from the very difficult terrain of unleashing and leading such revolutions, but also problems in approach and policy reflecting significant errors in the practice and concepts guiding those revolutions. These problems, in various ways and dimensions very much haunt us today (including how this interacts with the fact that the bourgeoisie has had decades to basically petrify their lies and distortions into "accepted knowledge"): both in how such revolutions are evaluated and, very importantly, in terms of how many communists today have not recognized or ruptured with these problems and as such still "represent" for a communism which does not appear to be "very appetizing", i.e. does not seem "desirable" or "viable." And all of this further feeds the anti-communist/anti-basic-transformation-of-any-kind mill, and is at times even expressed in a supercilious "been there, done that" dismissive attitude towards communism. The point of the above is that there are a variety of significant objective contradictions we face in making some breakthroughs with our project. And further these objective factors in various ways underlie different trends of "oppositional" politics and ideology which when distilled to their core would leave the world as it is. And where we are coming from in trying to break out of all of this cannot be separated from the revisionism in our own party; that this did have very negative consequences and collateral damage in terms of how those who may have been drawn to us and came into contact with us have viewed us for many years. It is not a mystery that what is very off putting to many people is what in various ways is perceived as the religious side, the reified side and the epistemologically closed side of communism: forms of genuflection to a revolution in the image of THE PROLETARIAT as it is now or even perceived to be when "transformed"; reification in the sense of a revolution to mete out revenge to non-proletarian classes which have exploited or benefitted in some way from the exploitation of the proletariat, with a Party/DOP [dictatorship of the proletariat] dedicated to such a process; reification (and related to this reductionism and dogmatism) in terms of a flattening out of an analysis of the complexities of such a revolution (both humps) and related to this a sense of some kind of historical inevitability which pretty much closes out any process of scientific inquiry, exploration and discovery; related to this a sense of our invitation to "join us" as being: join "our thing", it’s all figured out, we just need to "do it" (versus the spirit of "a team of scientists" and all that is concentrated in that); as well as incorrect tendencies in relation to the contradiction between individualism and the individuality of people; a real fear that when confronting critical issues and problems that the process will "close down" and the ferment and "space" to experiment, the unleashing of creativity and individuality as part of this, to understand and change the world (through a many channels perspective and process) will become restricted, confined and compressed to the immediate necessity facing the revolution and in effect the elasticity we promote will be "shut down", resulting in repression and oppression, i.e. not the kind of world one would want to live in. And with this type of epistemology and methodology such communists, especially in a country like this, soon find themselves rudderless in terms of any materialist grasp of the basis and means for making revolution, and become agnostic or worse; their thinking and their social practice becomes very non-revolutionary. The kind of "communists" that this type of revisionism produced or synthesized were people who seemed very cultish in the sense that they did not convey an aura of intellectual excitement or exploration, a sense of engaging society in a very dynamic or substantial way, they proceeded in narrow ways from "their thing"; and even when these "things" were in fact very important to the world and humanity, it was often, for a number of reasons, "presented" in linear and dead ways. When these communists would come around, even if you appreciated their intent and could get with the particular issue they might be fighting for, your relationship with them would be very tactical, but you would not want to hang around them, you would not see them as a source of intellectual and social energy, a source of humor or enjoyment. You might get the sense that beyond their "political thing" that they did not have a lot of interest in the dynamics of the broader world or what your thinking was about anything beyond how to get some things "done". Or if they did like to talk about broader cultural things, they would either reduce everything to some linear and reified "communist analysis" or what they would say would seem to be not at all influenced by a dynamic revolutionary communist perspective, but seemed to dabble within the same thinking and framework of everyone else. You would not look to these communists as a dynamic source to engage and understand the world, in its various dimensions; nor would you have confidence in their vision of transforming the world. You would not view these communists as a vanguard in society—and this also, along with other ideological inclinations you might hold, would reinforce a negative view of the whole concept of a vanguard and communists. For a long time, for a lot of people who came into contact with our Party, a lot of this is what they have come away with. So all of this, directly and indirectly (even with new people we come into contact with) is part of what we are dealing with. Yes, on one hand, all of the above paragraphs speaks to the various dimensions of objective problems underlying why there isn't a lot of spontaneity around revolution and communism; but the world is still really hurting and a lot of people do see the need for change, but yet even most of the best of them are not seriously engaging the new synthesis and communism; and worse, in one form or another, are opting to accept "the world as it is". Moving on, even with the all of the above in mind, to me the heart of the dilemma we face is this: Bob Avakian has very frontally and with great depth and intellectual integrity spoken to the heart of the truly liberating advances and to the mistakes, limitations and errors of our project, and has in fact brought forward this new synthesis which (without elaborating here) really is both a very challenging an inviting project. Comprehended in what is a firm theoretical and programmatic framework is the sense that this is a very young project/work in progress (versus an historical inevitability), with tremendous transformative potential, in the realm of ideas as well as in the practical sphere. The rhetorical question to raise is why aren't more people, all over the world, just really excited about this new vision of what socialism and communism is and exhilarated by the prospect of being part of the multi-dimensional process of getting there; and why isn't there more of at least an incipient mass revolutionary communist movement based on this new synthesis, its liberating methodology, its rich and textured body of work, the transformative prospects it opens up for humanity? Even with an understanding in relation to the objective contradictions, both among communists in the world and the larger society (spoken to above), it still drives me crazy and is befuddling why a not insignificant group of academics and scientists would not be "exhilarated" by the scientific method and approach which is the core of Bob Avakian's work, even if they had differences and/or strong objections to the arguments and conclusions, including around the basic party/state paradigm. This new synthesis stands out in stark and refreshing contrast both to revisionism in the world and the utter hopelessness about the possibility of transformative change to better humanity in the broader intellectual discourse. Or another dimension of this same problem: all of our major works from the beginning of the "coming out swinging" period [Summer-Autumn 2005, when the Manifesto, the Party Constitution, Communism and Jeffersonian Democracy, the special issue of Revolution on the Black National Question, and the speech "Making Revolution in the USA" were all put out] have dramatically and powerfully posited the darkness and horrible conditions of most of humanity and how liberating and transformative making revolution and establishing a revolutionary communist led state power can be; positing a very dynamic view of the new synthesis, including illustrating the laboratory of methodology involved in approaching all of this. So again, why, even in incipient ways is our vision, line and approach not taking some kind of qualitative hold as expressed in this becoming a controversial pole in society, in drawing forward a broader (even if small) solid core excitedly engaging and promoting this? I am really trying to wrestle with and to understand why the party (and Bob Avakian because of the party) is still to a significant extent viewed through this "the party's over" prism. How do we break through both the societal prejudices/"conventional wisdom" re communism and our own revisionist line which was expressed in a non-revolutionary method and style of work? Is it the case that even today we are viewed as some kind of narrow "political organism": which promotes Avakian; which here and there sometimes may have something to say; which has a political newspaper (something people run into here and there); a group which is perceived by people to be on the periphery of what is "happening in the world", or even in "their world"? While this may be too simplified/absolute in terms of how the Party is perceived as a social force, is there is an essential truth to this? And how much is this the case because this, in some ways, is still, on the ground in each area how the Party comes off? Exploring this from some different experience, what really stands out is that the above does not seem to be how prisoners who write us see the Party, and especially Avakian and his role in the world. One gets the sense that these prisoners are really excited by what Avakian is bringing forward, and that while they can speak powerfully to the raw oppression they face and have faced in life, that beyond this there is also a sense of ferment among those who write, that they "get into" understanding the world in its many dimensions and wrestling with the need to transform it in many dimensions. That they really do appreciate the liberating methodology and epistemology Avakian has brought forward and think that this matters in the world, that it not only is a method to understand the world to change it in some narrow sense, but that humanity engaging, understanding and changing the world in this way is an important part of the humanity we want to create, essential to what socialism and communism has to be about—central to how the people have to be transformed, for revolution. This is the spirit one gets, in different ways, from some of the prison correspondence. Does this difference between how a certain critical mass of prisoners and those in the society more generally engage Bob Avakian come down to the fact that "revolution is not a dinner party?" That the idea of a revolution with all the upheaval, chaos and sacrifice in many dimensions is in itself still a party stopper, for a variety of reasons, not only to the intellectual and middle strata, but also to many at the bottom of society? That only those prisoners with really no illusions (beyond of course the religious ones which many are into) of reforming the system or bettering their own status within the system can see such upheaval and chaos and sacrifice as "worth it" if it means getting humanity to a whole other place? Or from another angle, why is that it seems that these prisoners are really taking in and studying what Avakian is bringing forward versus reading it and then quickly filtering it through both ideological prejudices and/or "what it means for me now" calculations? Another question in relation to this: are the prisoners, to the extent this is true, more "getting it" because they are getting Avakian raw and "unfiltered" so to speak, that is not filtered through how it might be presented by those in the Party? I realize that this "prisoners vs. others" comparison can become reductionist and very simplistic, but there does seem some elements to explore here. And of course even the prisoners we are speaking about is not a huge number, but a number of them do correspond and it seems that their correspondence is richer and more "appreciative" of Avakian than other correspondence to the newspaper. ".......Away from the feel and flow of life for so many years"
Again, does our work, how it is envisioned and organized and carried by most of the Party still amount to a narrowly conceived "political organization" with a (reified) GOAL, a (rarely promoted) PROGRAM, a newspaper and a series of initiatives and campaigns to do our political work, work carried out by areas and individuals without perspective in terms of actually attempting to "conquer the world", correctly understood? The Chair has spoken to the question of creating a whole new Party life and culture and this being the solid core and living expression of how we go out into the world as a vanguard and how we see what this vanguard is. How, within the Party, and the Party engaging the broader society do we bring forward the type of culture we have been talking about? It is not like this has not been envisioned and spoken to exhaustively, but by way of contrast to where the Party still seems to be, I would like to explore a couple of angles on this. One angle to get at this, is I have read books dealing with physics, both in the period of the birth of quantum physics and recent years where scientists have been struggling to unify classical (especially general relativity) and quantum physics. And what stands out is that these were times when there was a great excitement and intellectual ferment around the great challenges and complexity of the challenges, and that those involved, in all parts of the world, really did function as a "team of scientists" in the sense of getting into the fact that there are some really intractable contradictions in understanding reality, but understanding the importance of this for humanity and getting great joy in working through all the contradictions etc. Of course all of this was not without contradiction, nor was it free of political contradictions (especially in relation to the German physicists and the rise of the Nazis), but the general point of the dynamics of a social group generating great excitement and intellectual ferment (yes it was pretty internal to that group, though Einstein's general relativity did penetrate broader into society) with great bearing for the world still applies. I do not get the sense that there is this cultural ferment in the Party or that this is "infecting" others. There is some anecdotal feel of this here and there, but not anything that seems to be a significant trend. Another angle is the Black Panthers, the VH1 special on them ( as part of the "Lords of the Revolution" series) really captured the soul-shaking impact they had not only on the masses of Black people, but also in society very broadly. Yes, there was a particular social formation and dynamic in the society with a particular historical development and consilience of social dynamics coming together, but at the same time, even with their limitations, the more advanced actions of the Panthers, their agitation and propaganda and how they presented themselves was a reflection, concentrated and taken to a higher level, of the "feel and flow of life" at that time. As controversial as they were in the broader society, within "the movement" and broader progressive circles, they, more than any other force, did set the terms and provided a revolutionary framework and energy for the broader public intellectual and social ferment of the times (including in various ways playing an important role in the launching of a new communist movement, even if they were not part of it for very long). All of these various forces (Mike Ely types as well as anarchists and youth more generally) who hold up the Panthers' reformism (or even reduce the patrols they carried out to a reformist plank) miss the point by a wide mark when they think that these reformist things are the essence of what drew the masses (including broader sections of society beyond Black people) to the Panthers. The essence was that the Panthers ideologically, again with significant limitations, captured people's sense of the unjustness of the system, that there was a right and need to rebel against this, and that the Panthers sharply and defiantly called out and held accountable the system and its representatives and apologists, putting themselves forward as an alternative revolutionary moral and political authority. Achieving a higher, revolutionary communist synthesis of all this is what we are trying to do, but this is not where the Party is at right now. The leadership given through the cultural revolution and the period since then (initiated with the "Coming out Swinging" period) should have put us on this path. But from what I can see, this does not seem to be where the whole Party is at in any consistent way. On one level, at times it seems that the Party membership in how it "takes in" and synthesizes the line and guidance from leadership is a little like that prisoner (from The Capeman) who was just released from prison and who has "been away from the feel and flow of life for so many years." (I do see the irony of this in relation to the discussion earlier on how it seems that some of the prisoners "get it"; though they also will face this contradiction in different forms and for the same and different reasons when they come out.) One outstanding hallmark of revisionism, related to the view that "we have seen all the revolution we are going to see" and/or a very linear and reified view of the revolutionary process was that comrades did not see any reason to really understand the "raw material" of human social relations and thinking, including on a world scale, which would underlie revolutionary work in a non-revolutionary situation and out of which a revolutionary situation could emerge. There was little serious study on a scientific and exploratory basis, from both a macro and micro view, of the intellectual and cultural trends, the thinking and the moods of the society and different sections of the society. Either comrades just merged with the prevailing society, being part of it and viewing it from the viewpoint of the "radical" petty-bourgeois/"worker" revaunchist critic (and this would become petty and not very uplifting or insightful) or else comrades just seemed very ignorant, on many levels of the thinking and trends that were out there. If comrades have not ideologically and epistemologically made qualitative ruptures with this view and approach to revolutionizing society, even if they genuinely understand and are making some ruptures in relation to certain elements of line and are grappling more seriously with the new synthesis, this is still going to be a "retrograde" drag on their thinking and ability to grasp line on the most scientific and dynamic basis. While there are different dimensions on how this manifests itself, the particular dimension, for the purposes of this assignment, I am focusing on is how dynamically comrades are grasping this campaign (in its whole scope/stakes and three objectives) and going out into the world with it, including as central to this, how comrades are "leading" with the role and contributions of Bob Avakian. And this has several dimensions to it. 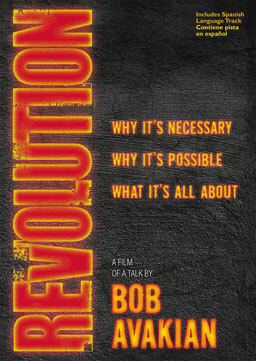 In a very basic way, it gets back to the thread of the three questions asked during the cultural revolution: is what Bob Avakian bringing forward have anything to say to or connect with what is happening out there? To me it is just not clear how one can go out and be a revolutionary if one is not leading with B.A. If one is proceeding from the goals of the campaign around "The Revolution We Need...The Leadership We Have" this is inseparable from on whatever level or from whatever angle, from bringing forward the role and substance of what B.A. has brought forward. This is a question of his role, the substance of the new synthesis (in all dimensions) and the whole method and approach to society and revolution which should come out around questions of various kinds all of which in one way or another, directly and indirectly bring forward a revolutionary communist perspective which in some way contributes to people's understanding of what we are trying to bring down and what we are trying to bring into existence. As one comrade put it, its like swiss cheese: wherever you cut you are cutting into holes. 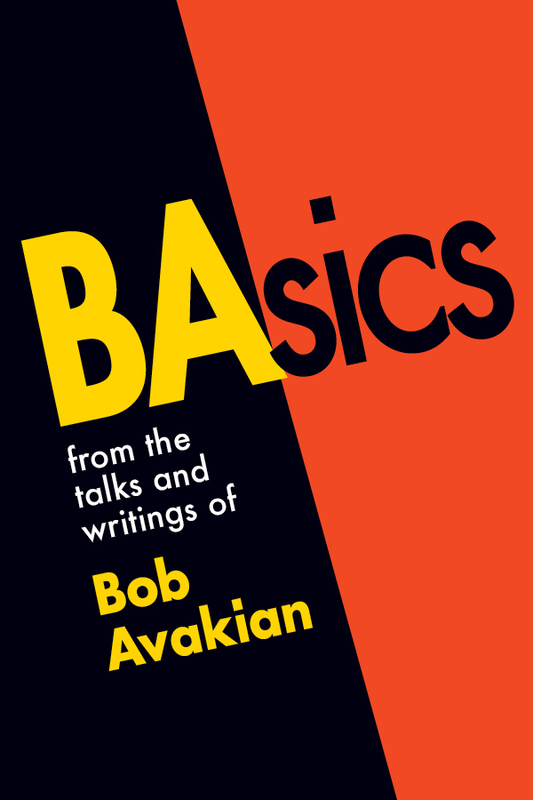 Meaning that from whatever angle you are engaging people around society, revolution and communism (broadly speaking), without being religious or contrived, it should not be difficult to be bringing forward Bob Avakian in various dimensions. There is a dynamic link between engaging the feel and flow of life and being compelled to immerse oneself in and draw from what Avakian is bringing forward; and visa versa. And the point here is that if this is being done on a correct basis, this should be attracting people to communism and communists; versus people's eyes beginning to gloss over and reinforcing their negative views of communists. Another dimension of how this presents itself: there just seems to be so little initiative in advancing and carrying out the basic line and orientation of the Party (aside from what comes from leadership) and where it does seem like comrades are trying (some of this has come through during the campaign and some local fund-raising initiatives) it still seems so new, like comrades are rediscovering very basic things on how to go out in mass ways to the masses, and finding creative forms for doing so. My point of "rediscovering" is not that comrades have "forgotten" these things, but this seems to be a reflection that many comrades still have not completely ruptured out of the "ghetto" of a reified view of the class struggle (away from the feel and flow...) and how one sees the process of making revolution. To the extent that there are still remnants of a linear view of the relationship between the Party and "the masses", both in terms of a reified view of the strategic role of the proletariat and correspondingly looking at other strata, including intellectuals (broadly speaking) in either a negative or "holding one's nose" view, then what is the substance of any "feel and flow" of life? How can we create a new culture within the Party if there is a trend to not think it is very important to engage in a dynamic way, from a revolutionary communist viewpoint, broader cultural patterns and trends; or to put it another way how can we be literary and political representatives of the proletariat (understood correctly) if we are not, from the viewpoint of the class struggle and a revolutionary communist perspective, engaging the broader ferment, in many dimensions, in society? In turn things like tactics and plans for campaigns, if in their conception are cut off from a sense of what is out there in the culture (without tailing this) this will also lead to very uninspiring and unimaginative ways of getting out to the masses and uninspiring ways of being able to develop a dynamic and imaginative Ohio process. That is the Party is not able to create waves of orbits where from different perspectives and via different channels there are masses who gravitate towards and become part of, broadly speaking, the process of where the Party is leading. The slogan "Fight the Power, and Transform the People, for Revolution" does capture a lot if correctly grasped and transformed in the world. Correctly grasped and engaged it is a reflection of on a strategic level of taking responsibility for the whole thing, proceeding from the "feel and flow of life", on a number of levels: there is the "I can't live another day with this system doing what it is to people" and being a living embodiment of this in every encounter one has with others (tactical issues aside); there is representing with a defiance of the system and what comes through as a dynamic and real life dedication and commitment to give ones life to getting rid of this system and bringing forward the revolutionary communist road; there is the being among the masses, of various strata, and knowing both their mood, including their backwardness and the wellsprings of this, as well as the things which continually draw them into having to confront the system and us getting an ever more intimate sense of this dynamic and being able to recognize and engage all of this around key contradictions in various ways. All of this is captured more comprehensively synthesized by Bob Avakian, speaking of "being attuned to and in a real sense [my emphasis] part of the life of the larger society and world, including not only the realm of politics but also the intellectual and culture ferment, on whatever level and in whatever forms they exist at any given time—while at the same time not ourselves adopting or tailing spontaneous tendencies or outlooks in the broader society and world, even the more positive ones". Is this how the whole Party conceives of what we are about and is going out, in a myriad of ways, and thinking/doing? Very much related to this, in the main are comrades stuck in "division of labor plus bring forward new synthesis when talking to people" kind of mindset. Everything we are doing should flow from seeing ourselves as striving, at the highest level, to become "the political and literary representatives of a class and of the revolutionary struggle which embodies the fundamental and highest interests of a class, and in particular the proletariat at this stage of history and in this revolution we're talking about." In terms of this being expressed in a revolutionary method and style of work, this is the core out of which everything else springs and enables us to "lively up ourselves" on the right basis: it is the springboard which pushes us to go back again and again and study Avakian, struggling to get the whole synthesis as well as how to approach particular vexing questions and real-world contradictions (and in this way also contribute to deepening our grasp of method and approach); it is the basis in which in a living way we grasp and integrate particular tasks or initiatives in a way that proceeds from the overall goals and strategic process; it is what pushes us beyond getting "blocked" by the aspects of backwardness of the masses, to figure out the way to engage people or to sharpen up our agitation and discussion so as to bring out the best in people and/or bring forward the "better people"; it is what enables us to recognize the various "channels" to be able to grab hold of and engage people and trends (on large and small questions) and do so from a revolutionary communist perspective; it is the basis for consistently coming up with creative and energetic forms of political (broadly speaking) work and organizational means of various kinds and on various levels. On this basis we will become an attractive force, others will want to and be compelled to be around us, will want to engage us in a variety of ways. This has to be everyone's orientation and approach, whether in any particular initiative your specific task at the time is to be part of the saturation initiative or representing more formally for the Party; whether speaking at a bookstore event, organizing for it, or speaking from the floor; whether organizing newspaper distribution or writing for the newspaper; whether editing the paper or working on the layout or website; etc. I would hope that playing a "barefoot doctor" role, or mainly getting out leaflets does not bring with it a mindset of having less responsibility for the whole thing. The "life of the party" versus "turn out the lights...." dimension of how the Party is perceived by others is expressed in everything that the Party does. The "being attuned to and in a real sense part of the life of the larger society and world, including not only the realm of politics but also the intellectual and culture ferment, on whatever level and in whatever forms they exist at any given time.." is given expression in how we approach, do active social investigation, develop plans for and carry out everything we do. This speaks to how we approach and develop plans for "saturation"; how we approach promotion and popularization of Bob Avakian (especially this); distribution of the newspaper, developing articles for the newspaper, ideas and contributions to the website, etc., etc., etc. Whether or not our work, large or small, reflects the "feel and flow" is both a reflection of line and approach, and is also picked up on by others. Tactics and plans are a reflection of a scientific, exploratory, creative approach of people who are serious and are seriously attempting to reach and influence others—this will effect how people in the short and long run engage what we are doing—and this is true of friend and foe. 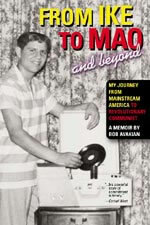 For a number of reasons there will be uneven development in how comrades can engage and contribute to various initiatives and the overall—but the point is that all comrades have to be proceeding from becoming political and literary representatives of a revolutionary class and historical dynamic; proceeding from being attuned to the feel and flow of life; and proceeding from this approach engaging in a scientific, dynamic and creative way in all dimensions of the Party's work. In this way not only will comrades be perceived as the kind of communists we need to be, but this will also carry over to how all of our work, large and small, is perceived by others. I think it is beyond the scope of this assignment, nor do I have the basis or would it be appropriate to go more deeply into line issues being posed through this campaign, but I think a couple of comments are in line. Clearly underlying a lot of this is an expression of reification, in different dimensions, of the revolutionary process which undermines the "many channels" and "feel and flow" approach to revolution. Related to this, I don't get the sense that flowing from this basic approach comrades are striving to become "the political and literary representatives of a class...." In every major work, from so many dimensions, the Chair has been joining these questions, but clearly there needs to be some deep re-grounding in this orientation. And, again, not to get deeply into this, this opposition or continuing primitiveness in this regard, is also very related to the orientation and questions spoken to in different documents on "correctly putting forward Bob Avakian."